Apple has taken time out from reeling from poor Chinese iPhone sales to promote the 2018 iPad Pro, the company’s latest big hardware release. The iPad Pro has been extremely well received by iPad aficionados, although everyone generally agrees that iOS continues to hold some pretty stellar hardware back. In a series of new videos, Apple is hoping to convince people that there is still plenty to enjoy here. 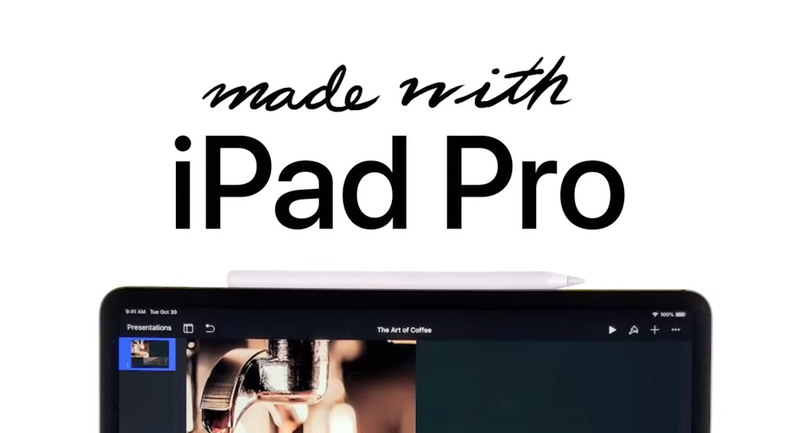 There is a constant theme running throughout each of the videos, with Apple keen to make sure everyone knows that there is plenty that can be “made with iPad Pro.” They focus on creativity and productivity, such as creating presentations and living a paperless lifestyle. There’s even mention of being able to record podcasts thanks to the Anchor app. Anchor isn’t the only app to get some love, with GoodNotes and Notability just some of the other apps that are used throughout the videos. Each and every one of the videos that Apple has launched – there are five in total – further pushes the narrative that the iPad Pro can be used for anything that you would normally do on a Mac or PC, though there is obviously no sign of anyone using Xcode in these ads! The iPad Pro is expected to get some much needed software love with iOS 13 later this year, and the hope is that the iPad Pro’s full potential will be unlocked at the same time. We have every single finger and toe crossed, that’s for sure! Apple has published five videos in total. Check them out below.